The 20th anniversary live version of the heavy metal landmark! 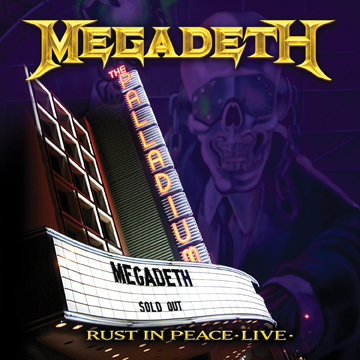 In March of 2010 Megadeth hit the road in celebration of the 20th anniversary of their classic 1990 album, Rust In Peace. 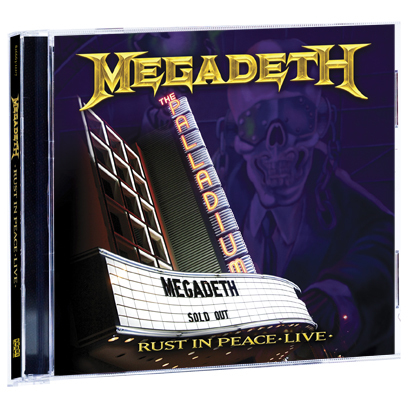 The show was filmed on the last night of the tour at the legendary Hollywood Palladium, not far from where Megadeth was formed in 1983. The band played Rust In Peace in its entirety, including all-time classics "Holy Wars...The Punishment Due" and "Hangar 18." The set list also featured several other fan favorites, including "Trust," "Symphony Of Destruction" and "Peace Sells."